FRIEZA -"You're It!" Final Form! Nice cel with VERY Detailed sketch! NOW FOR SALE. THIS ONE WILL SELL QUICK! CLICK THE PICTURE TO GET IT FIRST! 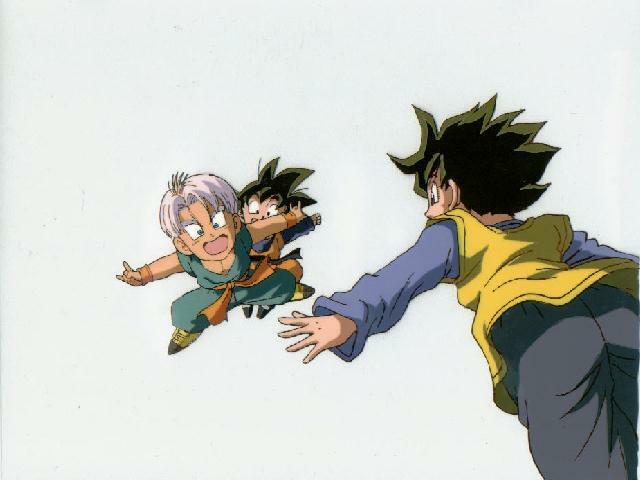 GOTEN, TRUNKS, & VIDEL- "I caught a fish This big!". My first Two layered cel, w/ beautiful matching sketches! 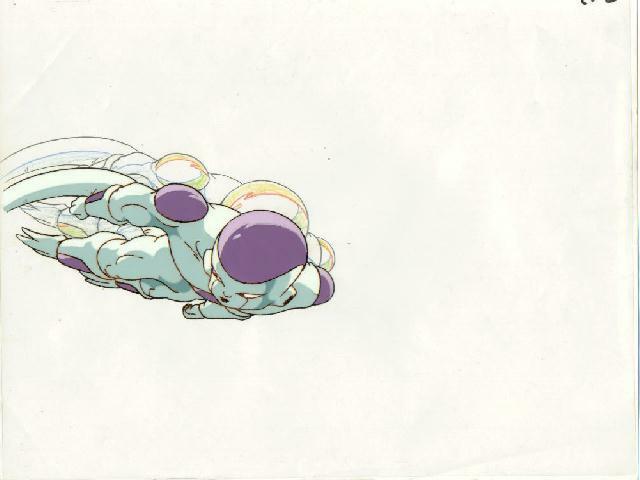 This cel is from the end of Movie #10! 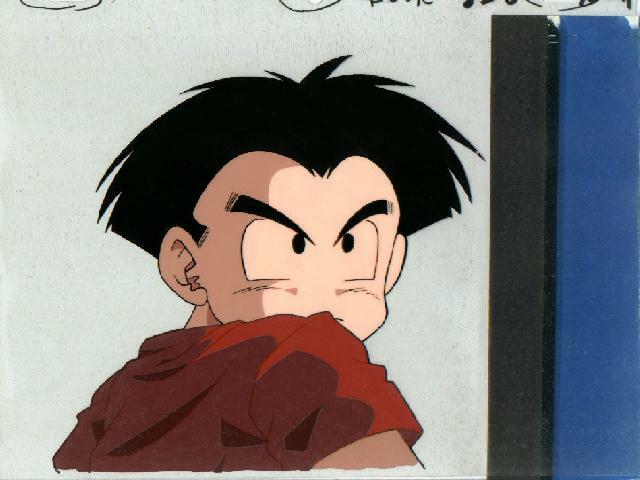 GOHAN - "Mine" Look...Gohan with SENZU beans! ^_^ This is from Movie 5. The hand on his head is one of Cooler's henchmen. This cel is stuck to its beautiful matching sketch. NOW FOR SALE!! CLICK PICTURE FOR MORE DETAILS! 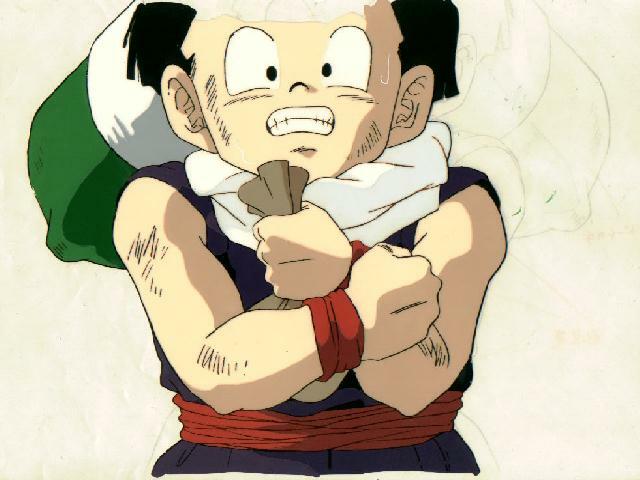 GOTEN - This is from Movie 13. 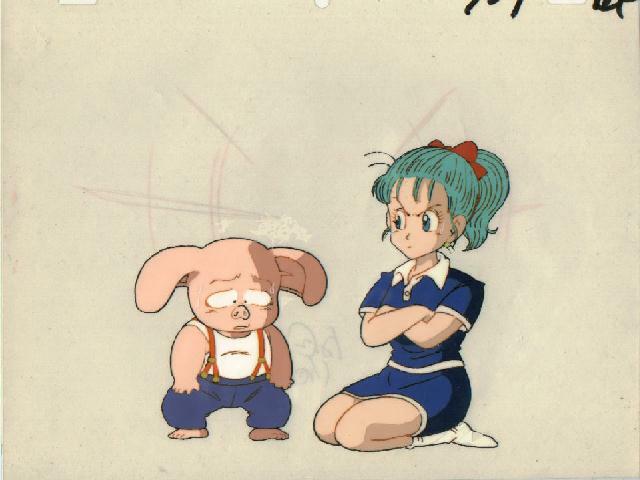 The Z warriors are at Bulma's trying to figure out how to open Tapion's box. 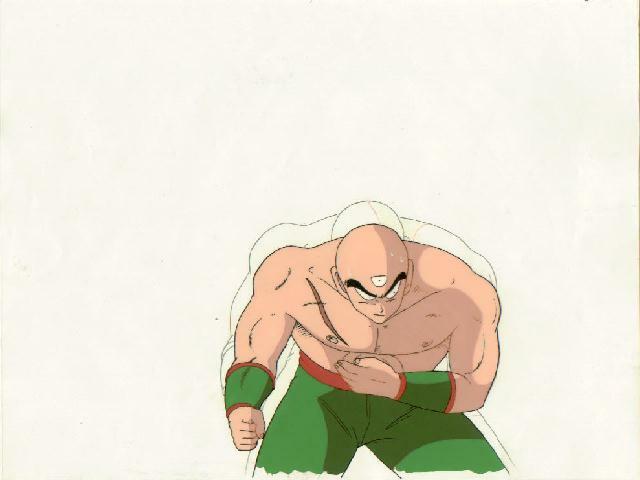 TIEN- " I'm not sure which episode this is from, but, I would say one of the earlier ones. Looks like part of a battle. CONDITION- Cel is in excellent condition!! A little line fading. 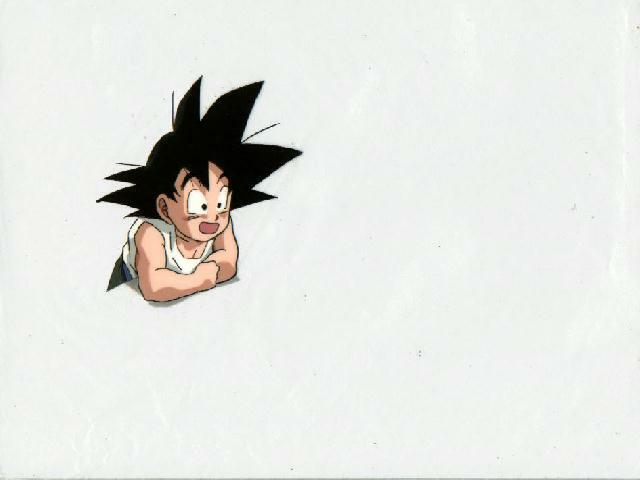 KAMI - I rarely ever see Kami cels, or good ones for that matter! I'm pretty sure this is from the Garlic Jr Saga. 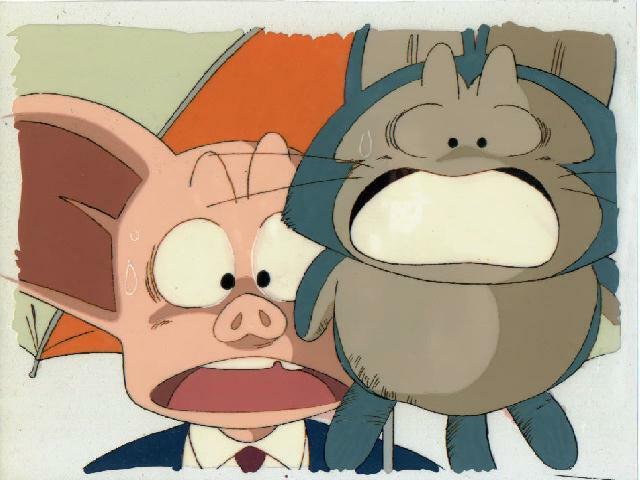 OOLONG & PUAR - "Oh no, it's raining cats & pigs" Another cool Puar cel! I like the expressions on both of their faces! SKETCH- Yes. Partial outline of second layer. Cel UNSTUCK! CONDITION- Cel is in excellent condition!! Strong colors! NO line fading at all!! 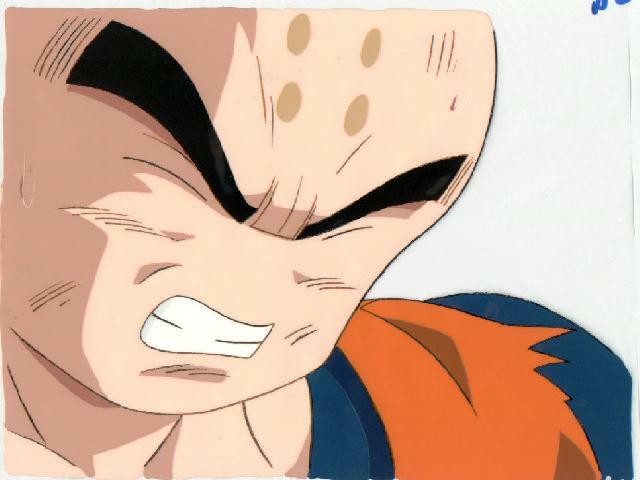 KRILLIN - Wheee, Krilling with Hair! 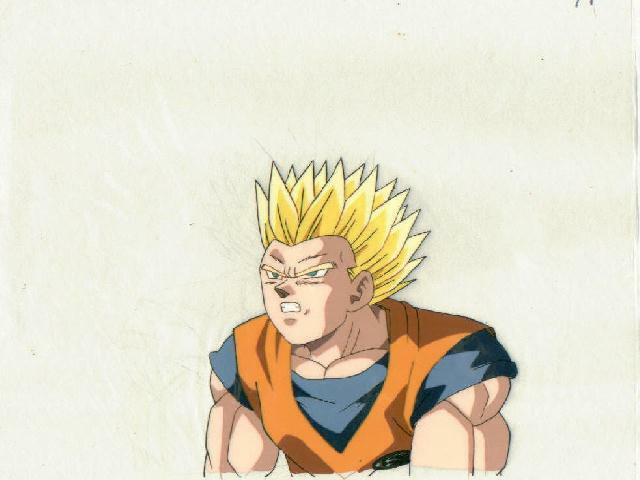 This is a BOOK cel, AND a KEY cel. It has 3 layers, with 2 UNstuck sketches! VERY nice post CELL Saga cel! CONDITION- A little bit of line fading on right side of face. 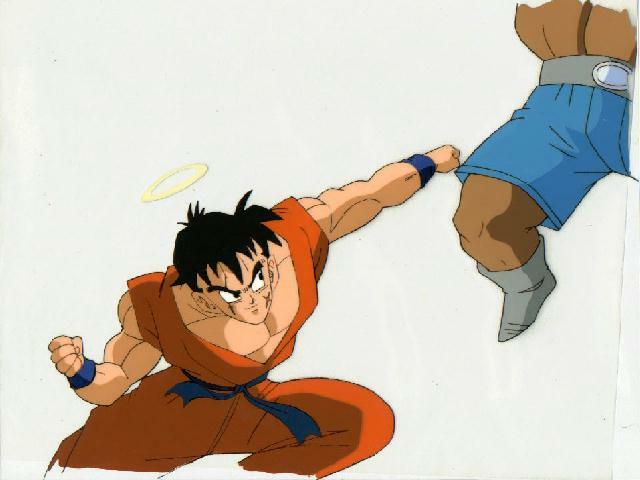 YAMCHA - "I see dead people!" 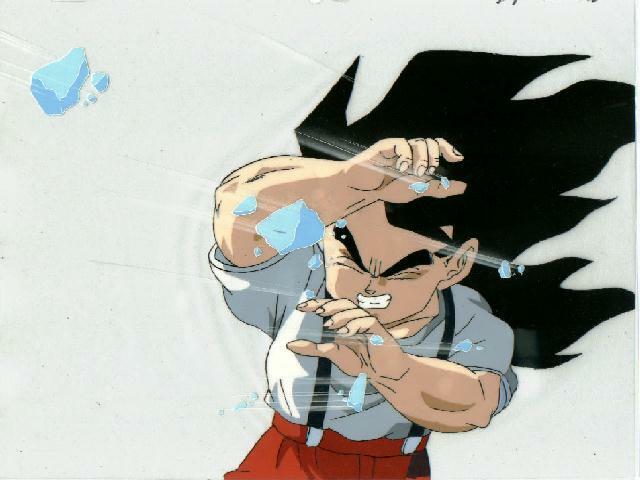 This is from the Vegetto saga...after just about everyone has been killed by Buu. I can't remember the name of the guy(s)he is fighting, but I'll find out...they were in the Other World Tournament! CONDITION- Cel is in excellent condition!! Strong colors! A little line fading! 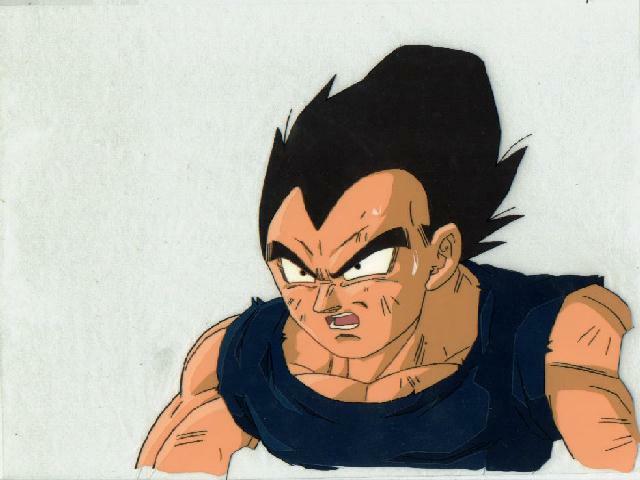 VEGETA - Very nice Vegeta cel, from late DBZ. Somewhere between the tournament & Buu! SKETCH- Yes. Partial sketch with lots of color. UNSTUCK! 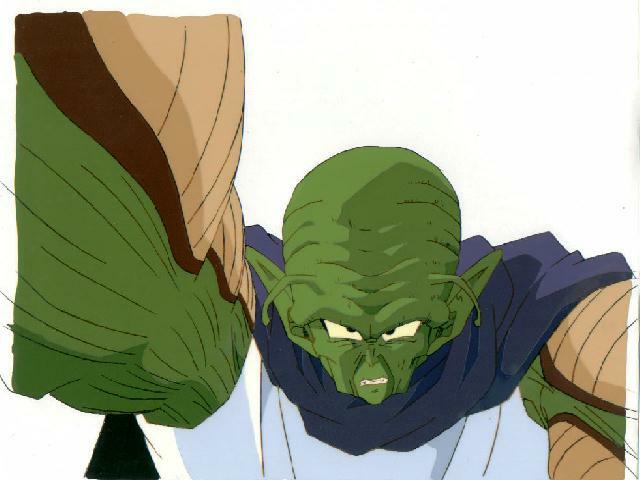 Piccolo's had enough of this page!! Let him take you to the next one!